Good morning! How's the weather where you are at? We got hit with another six inches of snow this weekend and then the temps dropped. It is supposed to be SUPER cold for the next few days so I will be leaving my house as little as possible. This kind of weather always sounds like a good excuse for extra reading, doesn't it? 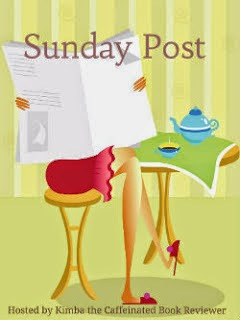 In actuality, it is business as usual as we are back to our normal and busy schedules. When spring hits things will get really crazy but right now it is just lots of practices and running the kids to and from them. In other news, I recently joined Instagram. Is anyone else on there? I'm basically loving posting about books all of the time and really loving looking at all of the other bookish posts. My Instagram handle is Samantha.1020bookedonafeeling if you want to follow me on there. If you do let me know so I can follow you back!! It has been a ton of fun but I will admit that it cuts into my reading time a bit. There are some nights when all I do is scroll through Instagram (or bookstagram) rather then reading. It's still lots of fun though so I'm enjoying it! 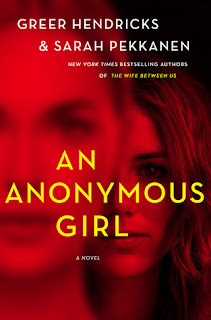 An Anonymous Girl by Greer Hendricks and Sarah Pekkanen was an amazing way to start off my 2019 year of reading! This was such a suspenseful read and I really enjoyed it! I've already shared my thoughts on it here if you are interested in reading my full review. 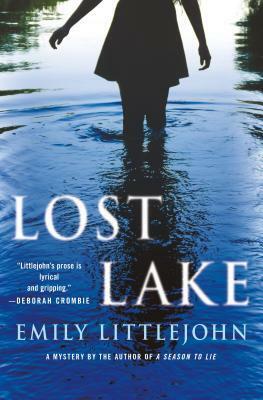 Lost Lake by Emily Littlejohn was an incredible addition to one of my favorite mystery series. You guys this series and these books are so good! I was saying on Instagram that I'm just not sure why they don't get more attention. They all have gorgeous writing and descriptions....I absolutely savored this one! I can't wait for book four! I will be working on writing up my thoughts on this one soon. 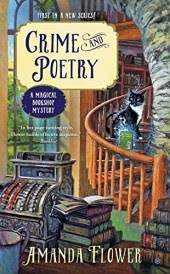 Crime and Poetry by Amanda Flower was my first read off of my personal TBR challenge list. 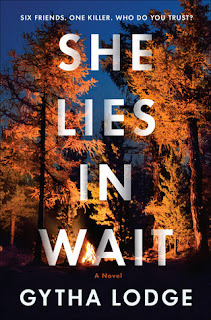 I enjoyed this cozy mystery so much! It was a really fun read that had me laughing out loud at a few points. I was successful at knocking off a book that has been on my TBR for awhile now but it caused me to add the next book in the series on there instead. LOL! I will also be working on sharing my thoughts on this one soon! I've had this one on my radar for a few months now. It's so good so far! I'm really enjoying it and have no clue what happened so many years ago. I'm looking forward to finding out though! I'm completely undecided on what to read next but I have a few calling my name including No Exit by Taylor Adams, Freefall by Jessica Barry, and Lisa Garder's upcoming release titled Never Tell. So many books and just never enough time!!! Or maybe I should throw a romance in there to mix it up. What would you choose? I'm off to start on laundry and get my day moving. I hope all of you have a wonderful Sunday and three day weekend if you are lucky enough to get tomorrow off. Oh, you are reading some good books, Sam. 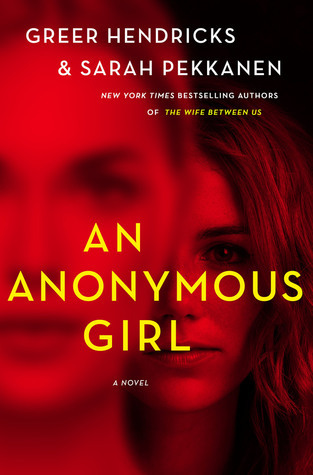 I'm planning on reading An Anonymous Girl before long - read the one that duo wrote last year and liked it. I'm also planning on starting Emily Littlejohn's series. I have the first two book already (I think). Sounds like a good one and I'd like to begin before more books are published. 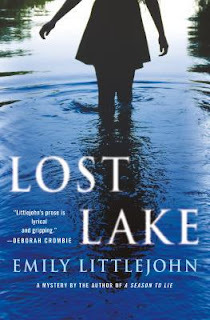 I also have Gytha (interesting name) Lodge's book on my radar. As to what I'd read off your TBR list - I have No Exit and Freefall on mine and have heard good things about both. And you can never go wrong with Lisa Gardner. Well, I was not help was I? Have a good week! And, no, I'm not on Instagram. I try to do as little social media as possible. Too many distractions for me. I'll have to find you on Instagram! I've been on it for a year but just now starting to post a bit more regularly. So curious about the Crime & Poetry book. While I love the way the snow looks I'm glad I don't have to deal with that where I live. Our weekend was gorgeous although quite cold for us. I've been on and off on instagram. It was cutting into my reading time and I lost motivation to take pictures. My instagram handle is asreadbytina . I love how snow looks but I live in Texas so we don't get snow very often if ever so I just like pictures of snow not dealing with it. I wasn't made to deal with it. Sam, it sounds like you are enjoying your reading. We don't get snow here, except for the mountains. I'm on Instagram, too, and love it. I hope you get some extra time to read this week! You must be freesing! It is cold where I'm at but it's not snowing. An Anonymus Girls has been sitting on my shelf for the longest time now. I'll get to it soon. Have a great week! You like some of the same genres I do. I just reviewed Freefall today and thought it was amazing; I listened to it on audio. I'm also fond of Lisa Gardner but have not read the latest yet. It didn't snow here but it was in the teens at night and 30s in the day, which was colder than average in NC. Now today it's 60. It's been wild swings. We did have snow in December for a couple days.